While your local gas company is in charge of installing the main gas lines that run through the road and in the neighborhood, when it comes time to install a gas line in your home, you will have to work with a local plumber or contractor. Gas Stoves – Today, gas stoves are more popular than their electric counterparts. The reason for this is that they offer more flexibility for cooking, and many people find them to be more energy efficient. Furnaces – A gas furnace is a very energy efficient way to heat a house, especially during those cold Boise winters. Gas Dryers – There are two common types of clothes dryers—gas and electric. Both have benefits; the decision is up to you which will work best in your home. Fireplaces – Gas log fireplaces are becoming more and more common. There is nothing better than warming your house with the beauty of a fireplace and not having to chase down real wood all winter long. Grills – Gas grills are an excellent way to get that “outdoor cooking” taste, but without all of the hassle of charcoal. Water Heaters – Gas water heaters are the “go to” choice for many home builders. If your home utilizes this type of water heating service, a gas line is a must. Outdoor Fire Pits – An outdoor fire pit is a great addition to any outdoor living area. 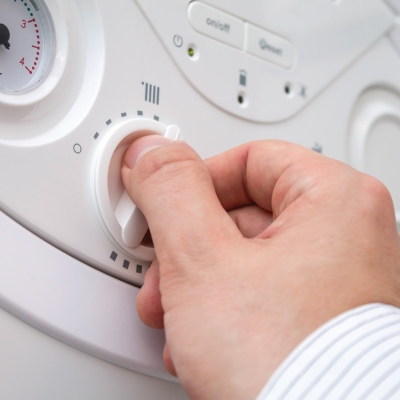 Much More – Other appliances may be designed to work with natural gas. Ask our experts what other options exist. Our gas line installation team can also provide installation services for commercial appliances like generators and restaurant equipment. No matter why you need a gas line installed Top Dog Plumbing is there for you. Customer service is our number one concern. Give us a call and talk to our service staff and you will quickly see why we are number one. Gas line installation is just one of many services offered by Top Dog Plumbing. If you need assistance with this task or any others, call us at Top Dog Plumbing today. We are Boise’s #1 choice for all your plumbing (and gas line) needs.